Any content made available at the Site or that you otherwise obtain in connection with the Site (“Content”) is permitted only for your personal use or internal company use as intended pursuant to the Site, and only as long as you are in compliance with all of the provisions of this Agreement.We do not guarantee the access to or performance of the Site. Occasionally, you may experience delays or errors in the Site. This may be due to a number of reasons including, maintenance that we perform on the Site as well as reasons beyond our control. We will attempt to provide you with prior notice of any interruptions, delays or errors, but we cannot guarantee that such notice will be provided.In consideration for your access to and use of the Site, we or third parties may from time to time place commercial content on the Site. We have no control over the accuracy, truthfulness, quality, safety or legal aspects of content provided by such third parties, nor do we endorse or are responsible in connection with such content (even if you or we receive any benefits related to the Site in connection with such third party offers).You acknowledge that we may, in our sole discretion and at any time(s), change or discontinue the operation of the Site. Your continued use of the Site will constitute your acceptance of and agreement to such changes.We may, in our sole discretion and without notice or liability to you or any third party, immediately suspend and block any and all current or future access to and use of the Site or certain part of the Site without derogating from any other right or remedy that we may have by law, equity or otherwise. Provide true, accurate, current and complete Personal Data as prompted by the Site’s processes. Maintain and promptly update the Personal Data to keep it accurate, current and complete. Maintain the security and confidentiality of any usernames and passwords, and any other security or access information used by you to access the Site or Services. Refrain from impersonating any person or entity or misrepresent your identity or affiliation with any person or entity, including using another person’s Personal Data. Immediately notify us in writing if you become aware of any loss, theft or use by any other person or entity of any of your Personal Data in connection with the Site or the Services or any other breach of security that you become aware of involving or relating to the Site. Log out of any accounts you have created on the Site or through the Services at the end of each session. You declare that by providing Personal Data to us, you hereby consent to, us sending, and you receiving, by means of telephone, facsimile, SMS or e-mail, communications containing content of a commercial nature relating to the Site, Services and Software. You acknowledge that we do not have to obtain your prior consent (whether written or oral) before sending such communications to you, provided that we shall immediately cease to send any such further communications should you notify us in writing that you do not wish to receive such commercial content anymore. We may, in our sole discretion, use any feedback, material or ideas that you provide to us or post on or through the Site to enhance and better customize the Site, the Services and the Software. You further grant us and our successors a perpetual, worldwide, non-exclusive, transferable, non-revocable, sub-licensable, royalty-free license to un-restrictedly use, modify, create derivative works from, distribute and display any feedback you provide to us with respect to the Site, the Services or the Software, without compensation, liability or notice to you, in any promotions or redistribution of part or all of the Site or any other sites that were created (as private labels for others or otherwise), are operated or are wholly or partially owned by us, in any media formats and through any media channels including without limitations in future modifications of the Site. You are entirely responsible for all your Submissions and the consequences of posting or publishing them on the Site. You may not charge a fee or otherwise require a user to purchase a product or service in exchange for receiving the Feed Service. Use is limited to platforms in which a functional link is made available allowing immediate display of the full article/post on the Site, as specified in the feed. Use is accompanied by proper attribution to us as the source. By accessing the Feed Service, you agree that you will not use the Feed Service in contravention of the above conditions. We reserve the right to discontinue the Feed Service at any time, and the right to require that you immediately cease any specific use of the Feed Service or to prevent you from using the Feed Service. All of the Content and all of the copyrights, trademark rights and other intellectual property rights in and to the Content (including without limitation all design, text, graphics, audio, video or image files and software) is protected by copyrights, trademarks, service marks, patents or other proprietary rights, both with respect to individual content and as a collective work or compilation, pursuant to laws and international conventions. Any rights to the Site, the Content, the Services and the Software not expressly granted in the Agreement and excluding users’ Submissions, are reserved by us and our licensors. All trademarks, service marks, trade names, and trade dress are proprietary to us or our licensors. No ownership of any Content or trademarks, service marks, trade names, trade dress or other proprietary rights in the Site and related goodwill, is transferred to you. You undertake not to do any act or thing which is inconsistent with or which is likely in any way to prejudice such title. You may print and download extracts from this Site for your own personal use. You may not modify, alter, republish, redistribute, resend, sell or broadcast any material on this Site to any other party or make such material available on-line or make the same available in hard copy or on any other media without our prior written permission. If you breach any of these terms your permission to use this Site automatically terminates and you must immediately destroy any downloads or printed extracts from this Site. Subject to the terms of this Agreement, you may display a link to the Site as long as your use is not misleading, illegal or defamatory, and your linked website contains no infringing or illegal content. You may not suggest that we endorse or sponsor your site, nor tarnish, blur or dilute the quality of our trademarks or any associated goodwill. The Site, the Content, the Services and the Software are provided on an “as is” and “as available” basis. WE EXPRESSLY DISCLAIM ALL WARRANTIES OF ANY KIND, WHETHER EXPRESS OR IMPLIED, INCLUDING BUT NOT LIMITED TO THE IMPLIED WARRANTIES OF MERCHANTABILITY, FITNESS FOR A PARTICULAR PURPOSE AND NON-INFRINGEMENT. WITHOUT LIMITING THE FOREGOING, WE MAKE NO WARRANTY THAT THIS SITE OR THE SERVICES WILL MEET YOUR REQUIREMENTS, OR WILL BE UNINTERRUPTED, TIMELY, SECURE, OR ERROR, BUG OR VIRUS FREE; NOR DO WE WARRANT OR MAKE ANY REPRESENTATIONS REGARDING THE USE OR THE RESULTS OF THIS SITE OR THE CONTENT IN TERMS OF ITS CORRECTNESS, COMPLETENESS, AVAILABILITY, ACCURACY, RELIABILITY OR OTHERWISE.YOUR USE OF THIS SITE AND CONTENT IS AT YOUR OWN DISCRETION AND RISK, AND YOU ARE SOLELY RESPONSIBLE FOR ANY RESULTING CONSEQUENCES. UNDER NO CIRCUMSTANCES WE SHALL BE LIABLE FOR ANY INDIRECT, INCIDENTAL, SPECIAL, EXEMPLARY OR CONSEQUENTIAL DAMAGES (I) ARISING OUT OF THE USE OR THE INABILITY TO USE THIS SITE, THE CONTENT, THE SERVICES OR THE SOFTWARE (II) FOR COST OF PROCUREMENT OF SUBSTITUTE GOODS AND SERVICES, OR (III) RESULTING FROM ANY INACCURACIES OR ERRORS OF INFORMATION RECEIVED AS A RESULT OF USING THIS SITE, SERVICES OR SOFTWARE; IN EACH CASE, INCLUDING BUT NOT LIMITED TO, DAMAGES FOR LOSS OF PROFITS, REPUTATION, GOODWILL, USE, DATA OR OTHER INTANGIBLE, EVEN IF WE HAVE BEEN ADVISED OF THE POSSIBILITY OF SUCH DAMAGES, Whether Based On Contract, Tort, Negligence, Strict Liability Or Otherwise. YOU RELEASE, AND AGREE, AT YOUR OWN EXPENSE, TO INDEMNIFY, DEFEND AND HOLD US HARMLESS, FROM ALL LIABILITIES, CLAIMS, ALLEGED CLAIMS, LOSS AND DAMAGES, AND INCLUDING REASONABLE ATTORNEY’S FEES RELATED IN ANY WAY TO: (I) YOUR BREACH OF ANY TERM OR CONDITION OF THIS AGREEMENT; (II) YOUR USE OF, RELIANCE ON OR ACCESS TO THIS SITE , THE CONTENT, THE SERVICES OR THE SOFTWARE; (III) ANY USE, MISUSE, OR UNAUTHORIZED USE OF THE SITE OR THE SERVICES OR THE SOFTWARE THROUGH YOUR PERSONAL DATA; AND (III) YOUR SUBMISSIONS. WE WILL PROVIDE YOU WITH WRITTEN NOTICE OF SUCH CLAIM, SUIT OR ACTION. YOU SHALL COOPERATE FULLY IN THE DEFENSE OF ANY CLAIM. WE RESERVE THE RIGHT, AT OUR OWN EXPENSE, TO ASSUME THE EXCLUSIVE DEFENSE AND CONTROL OF ANY MATTER SUBJECT TO INDEMNIFICATION BY YOU. If you believe that any material contained on this Site infringes your copyright, you should notify us at legal@redislabs.com. This Agreement shall be governed by and construed in accordance with the State of Delaware laws without regard to its conflict of law principles. Disputes arising in connection with this Agreement shall be subject to the exclusive jurisdiction of the applicable United States federal and state courts of the State of Delaware. If any part of the Agreement is found to be invalid, unlawful or unenforceable, the offending part shall be amended or extracted from the remaining terms all of which shall remain in full force as permitted by law. The Agreement, and any rights and licenses granted hereunder, may not be transferred or assigned by you, but may be assigned by us without restriction. This Agreement and our rules and policies in this Site comprise the entire agreement between you and us, states our and our suppliers’ entire liability and your exclusive remedy with respect to the Site, the Services and the Software, and supersede all prior agreements pertaining to this Agreement’s and such rules’ and policies’ subject matter. Any failure to exercise or enforce any right or provision of this Agreement shall not constitute a waiver of such right or provision.The section titles in this Agreement are solely used for the convenience and have no legal or contractual significance. No waiver of any term of the Agreement shall be deemed a further or continuing waiver of such term or any other term, and any failure to assert any right or provision under the Agreement shall not constitute a waiver of such term. No provision of the Agreement shall be construed against the owners of this Site but rather shall be construed in a neutral and fair manner as terms entered into by a fully-informed party on a voluntary basis. The terms of the Agreement, which by their nature should survive the termination of the Agreement, shall survive such termination. 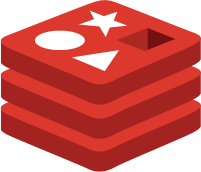 © 2018 Redis Labs. All rights reserved.